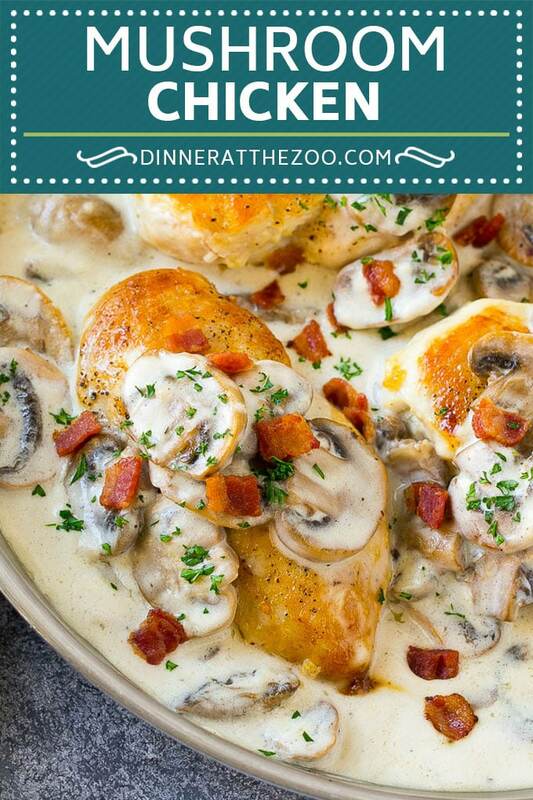 This mushroom chicken is pan seared chicken breasts topped with creamy mushroom sauce and bacon. An easy dinner that tastes like it came from a restaurant! 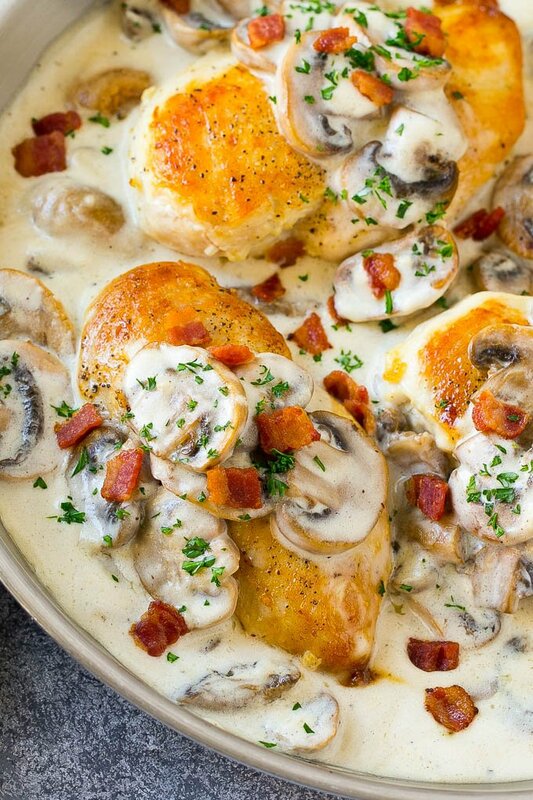 If you like mushrooms, you’ll go crazy over this chicken with mushroom sauce! It’s a savory and hearty meal that’s ready in under 30 minutes. These mushroom pork chops are also great for a quick dinner. 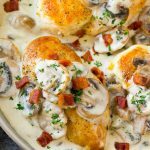 Sometimes chicken dinners can be boring, but this mushroom chicken with bacon is anything but ordinary! 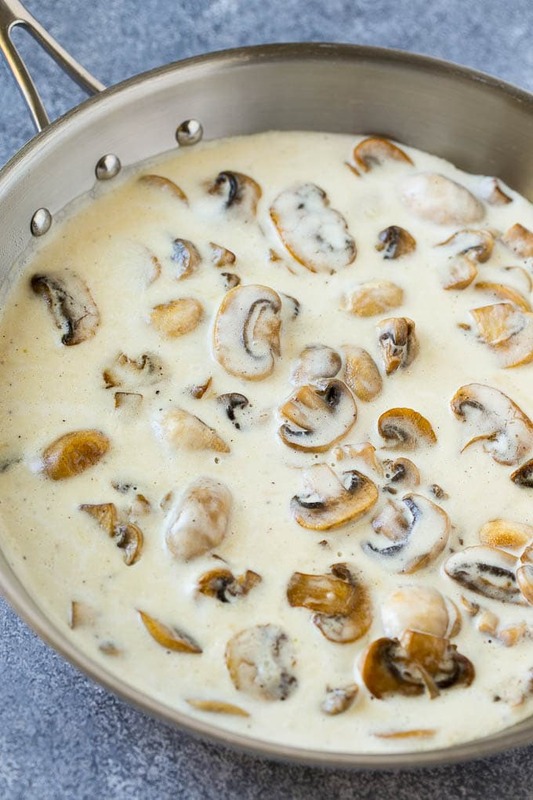 You’ll want to put the mushroom sauce over everything, it’s just that good. How do you make mushroom chicken? The first step in this recipe is to choose your chicken breasts. 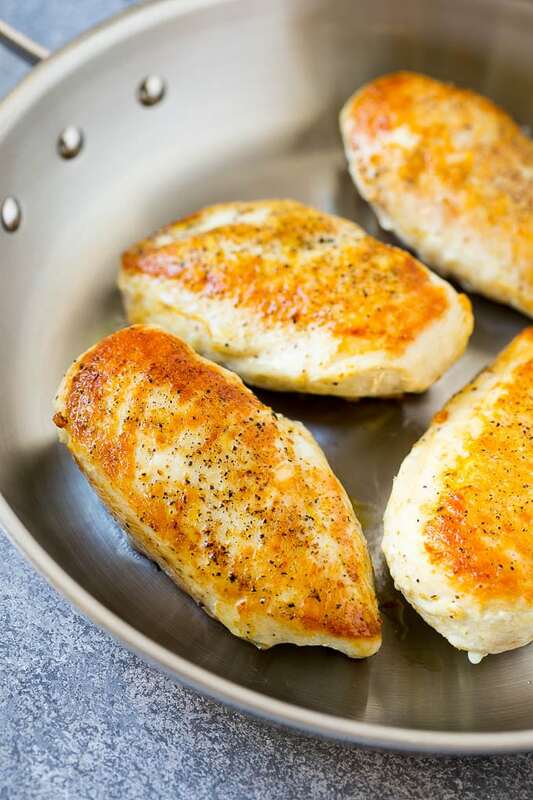 Look for thin boneless skinless chicken breasts that are all about the same size, that way they will cook quickly and evenly. You can substitute chicken thighs for breasts if you prefer. Sear your chicken to golden brown, then it’s time to make the sauce. I use standard white button mushrooms for this mushroom chicken, but you can really use any variety you prefer. Other great options are cremini, chanterelle, portobello or oyster mushrooms. This recipe contains bacon, because bacon makes everything better! The chicken gets cooked in the bacon fat which adds another layer of flavor. You can omit the bacon if you prefer, simply saute the chicken in butter or olive oil instead. 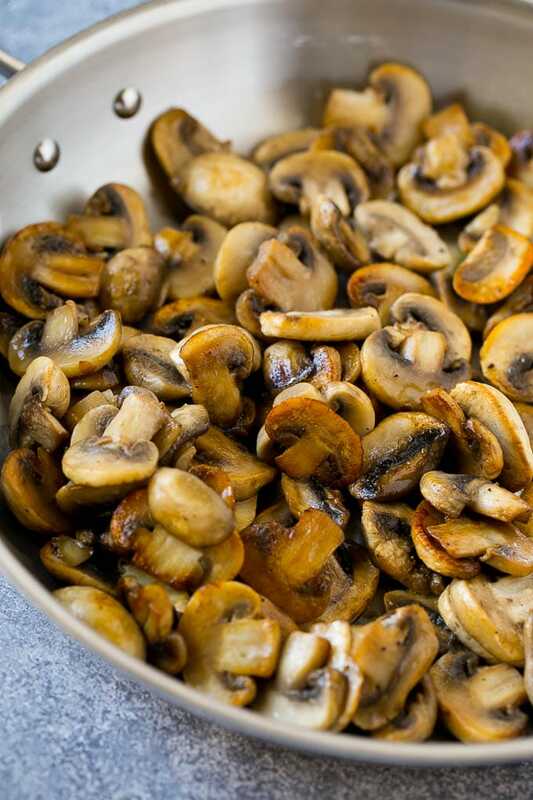 Buy pre-sliced mushrooms at the grocery store to save on prep time. 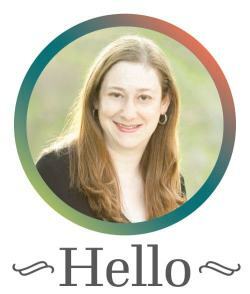 Not a fan of heavy cream? Use half and half instead, or use regular milk and thicken the sauce with a little cream cheese. If you want to speed up the cook time, try chicken breast tenders instead of full sized chicken breasts. This recipe would also be great with turkey cutlets or pork chops. Leftover mushroom chicken reheats great, so make extra and save some for lunch the next day. 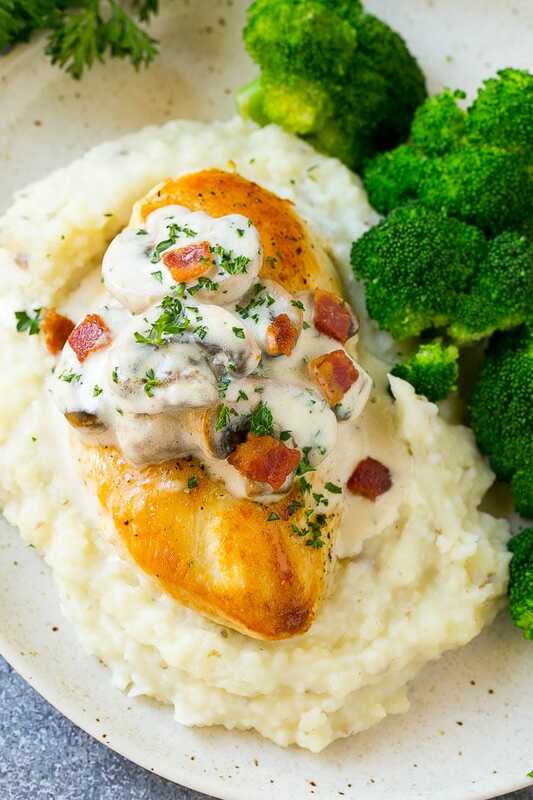 Mushroom chicken is best served with mashed potatoes, rice, or pasta. Add a vegetable and dinner is ready! Some great veggie options are broccoli, asparagus, carrots or zucchini. This is a quick dinner that’s great for one of those busy weeknights when you have a package of chicken in the fridge but no idea what to do with it. Even my kids enjoy this one! Place the bacon in a large pan over medium high heat. Cook the bacon for 3-5 minutes or until crisp. Remove the bacon from the pan and set aside. Season the chicken breasts on both sides with salt and pepper to taste. Add the chicken breasts to the bacon fat that's left in the pan. Cook for 5-6 minutes per side or until golden brown and cooked through. Remove the chicken from the pan and cover to keep warm. Add the butter to the pan to melt, then add the mushrooms. Season with salt and pepper to taste. Slowly pour in the chicken broth, whisking constantly. Bring the sauce to a simmer and cook for 3-4 minutes or until just thickened. Stir in the cream. 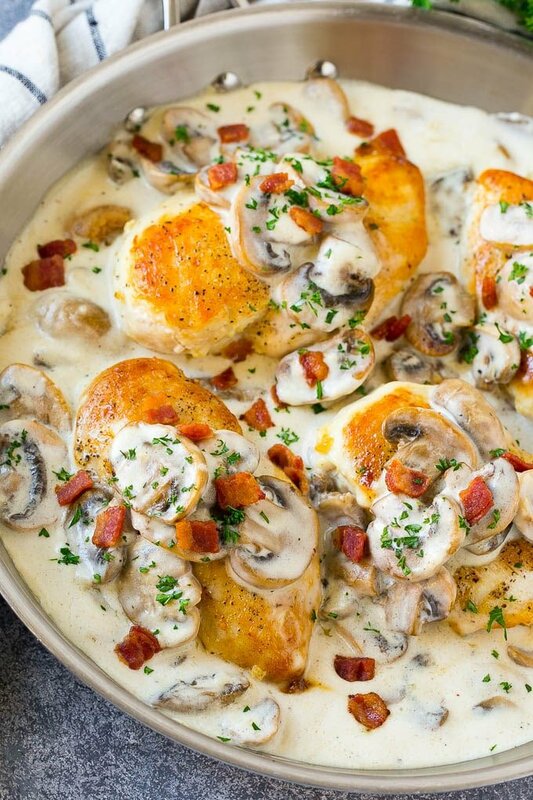 Pour the mushroom sauce over the chicken and sprinkle with reserved bacon and parsley, then serve. This was AMAZING. I had hardly anything in the fridge, yet I had all these ingredients! I made it with thin boneless porkchops and served over egg noodles, with veggies for a side. The family loved it.